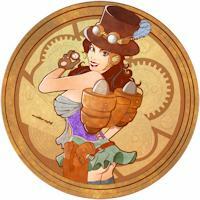 Steampunk communities and events are on the rise. 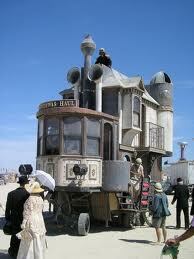 As such it is only a matter of time until said Steampunks meet other activity driven groups such as the Burners. Who the hell are the Burners? Ah. That’s a loaded question, so let’s get down to brass tacks. 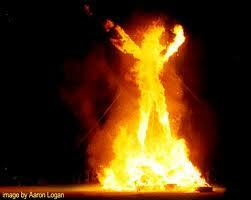 Burning Man?! Isn’t that some crazy party in the desert that Malcolm in the Middle was at? Wait! Wasn’t that mentioned in a movie, where the dad kept taking his new wives to Burning Man and they were high as a kite? I didn’t think that was real! of 60,000 people in attendance) begins the week prior to Labor Day and ends on Labor Day Monday. It is considered an extreme festival, a survivalist camping heaven, artists haven, an epic party like you’ve never seen, etc, etc. It is a temporary city that goes up, and when all is said and done, the Burners take their trash and leave no trace after celebrating life and freedom of expression. Burns are where the masses go to take off the mask of day to day triviality and be who you really are. To wave your freak flag if you will. It also gathers some of the most talented visionaries. Burning Man funds most of the huge interactive art installations that come to the Burn. 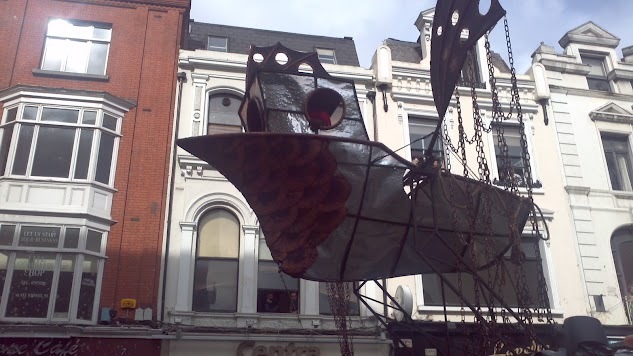 On a small scale the lauded Airship Isabella has ventured into the Burning community. The Isabella was actually conceived at the Texas Regional Burn Burning Flipside. 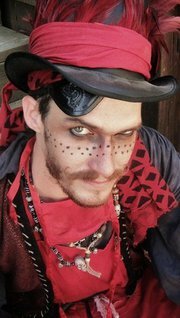 Gypsy Steam Circus, is a group currently being put together for the sole purpose of bringing Steampunk, Gypsy Fusion with a dash of Circus to the Burn. GSC will be gathering its ranks for the for Myschievia (a Regional in East Texas) over the Columbus Holiday. 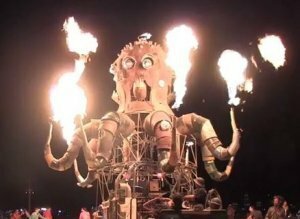 I have been a Burner since 2009, I’ve made two fabulous Pilgrimages to Black Rock City (the name of the temporary city that goes up for one fabulous week). During 2011 I bowed out of BRC to visit two regional burns, Flipside and in a few short weeks I’ll be at Myschievia. These two Burns are quite small compared to the massive size of Burning Man, but they are no less powerful. You may have noticed O.M. Grey’s latest tweets and Facebook posts mentioned her Pilgrimage to Black Rock City and Burning Man this year. 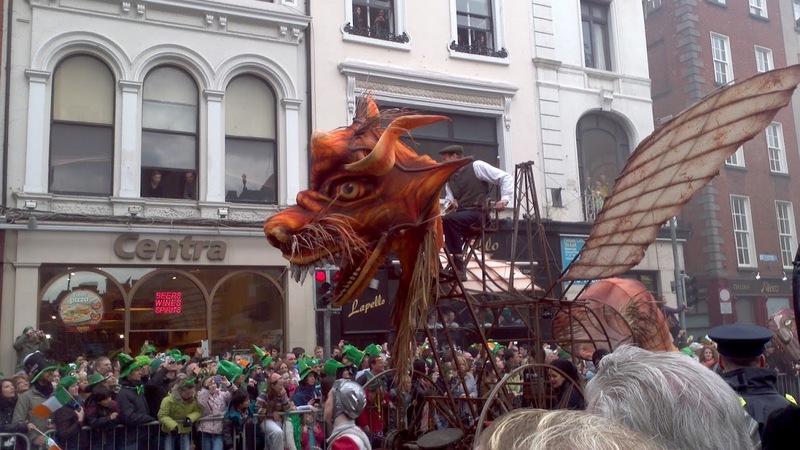 Steampunk is rapidly being integrated into other highly creative events and festivals. can be turned by small hand held devices 20+ yards away, giant metal art pieces created for people to look at and climb on to see the view from the top). There is also an indescribable feeling that comes over you when you stand in the middle of the desert. For some it is a spiritual experience. Some come to the desert to find themselves, some to party, some to get away from reality, but when the Burn is over somehow Burning Man has become the reality. It is a special place where your true self is discovered. It can be messy and it can be beautiful. But every year when you are met at the Gates by the Greeters, the first thing they say is “Welcome Home” and you suddenly realize it IS home. I am so excited seeing two of the things I love most come together. 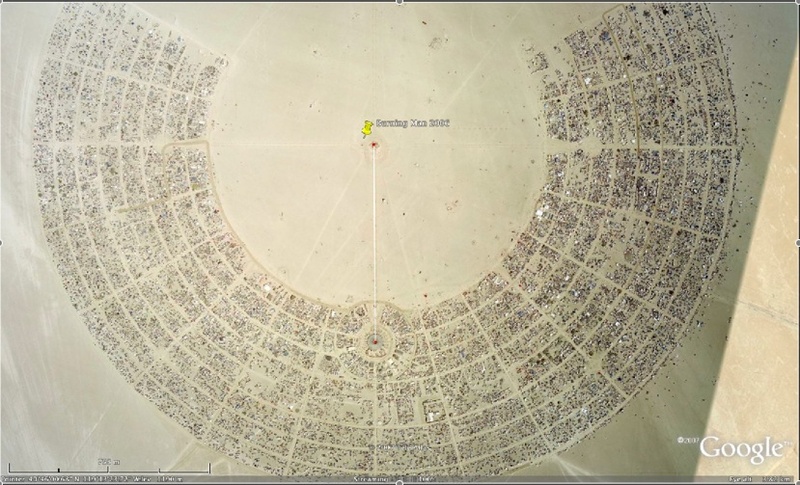 Burning Man and its subsequent regional Burns are not for everyone. But if you have a keen sense of adventure and an open mind Burning Man might become home for you too. For more information about Burns please see the following links. This year is proving to be a year of firsts in the Steampunk community and I am pleased and excited about the upcoming ÆtherFest on April 29 – May 1st in San Antonio, TX. ÆtherFest is the first Steampunk Convention in the state of Texas. organizers of this new convention at previous events. On top of their Steamy swagger, and panache, they have a far-reaching perspective. This is probably due to their time traveling ways… they are moving towards making ÆtherFest a non-profit. Turning an organization into non-profit is tedious and traumatic to pure hearted folk who want their profits to go to the needy deserving. The the co-founds of ÆtherFest and the San Antonio Neo-Victorian Association are on track to non-profit. A few of the guests and attendees who are taking part of this wonderful endeavor are mentioned below. Cracked Monocle the game master, for better or worse, will have control of the game room! Attendees will be able to play the prized tabletop RPG, Tephra. Much excitement surrounds Cracked Monocle as their gifts extend past Tephra…you may learn more about them at their website http://crackedmonocle.com/. Emperor Justinian Stanislaus of the Red Fork Empire will be in attendance! In their own words “The Red Fork Empire (RFE) is a collective of people who want to express themselves creatively, not necessarily as professionals but because using your imagination and being creative is fundamental to truly enjoying life.” The RFE most definitely seem to truly enjoy life, please visit them at http://www.redforkempire.com/. The musical entertainment will be a crowd pleaser. Marquis of Vaudeville , Bones Jangle and Hipnautica. Marquis and Bones are quickly becoming the golden children of the Texas Steampunk music scene. Hipnautica will be an experience all on their own. Their sound morphs and melds. They are chameleons of the music scene, easily turning from one style to something completely different. Multiple Airships will be in attendance, as well as the new organization SCARS. 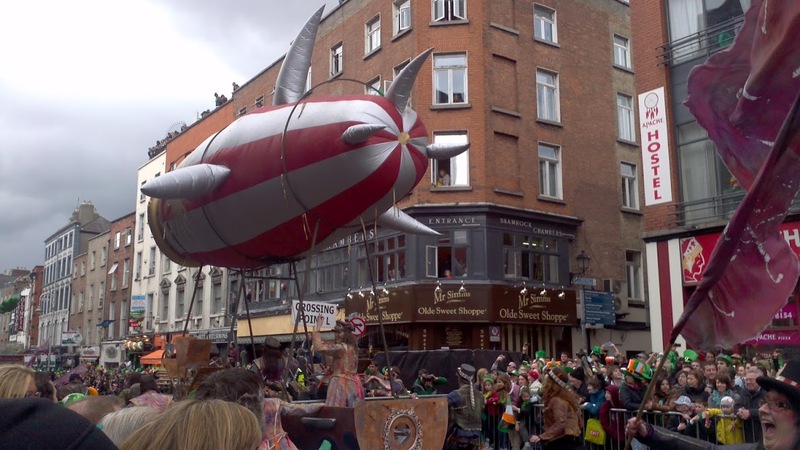 The South Central Armada of Renegade Steampunk is a group of Airships with a common goal of growing the idea of Steampunk to uncharted territories. The guests and workshops are not the only draw to AetherFest. The sponsoring hotel alone is a reason to come . doors in 1909, an endeavour of wealthy cattlemen. 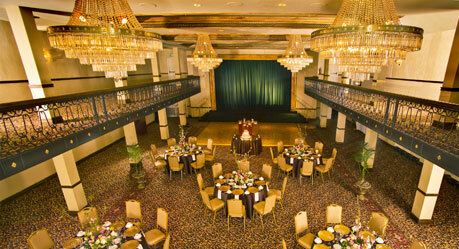 They wanted to create the most posh hotel in San Antonio. What they didn’t expect is that their financial expert and project guide F.M Swearingen would go beyond their expectations. Steampunk is lauded as the ‘future-past’. The St. Anthony’s Hotel mimics that in its own right. illuminated closets, and their own private bath. What was most impressive of all, bedroom lights that turned off when the guest locked their door from the outside. 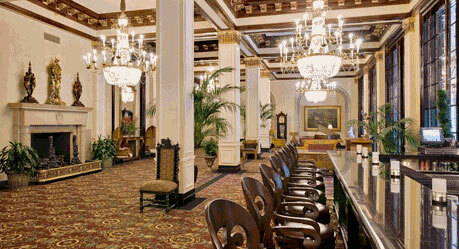 The St. Anthony Hotel set the standard for hotel innovations across the globe. In the hotels golden history, Royalty and Hollywood stars such as the Prince of Monaco, Judy Garland, Fred Astaire and Rock Hudson have been guests. If you have any interest in going please check out the links below for more information. This years All-Con event was a smashing success! SF, Fantasy, Renaissance, Anime, Comic and of course Steampunk came together in a meeting of fabulous inner nerd and freak this past weekend. Many Steampunks came down from the aether this weekend. 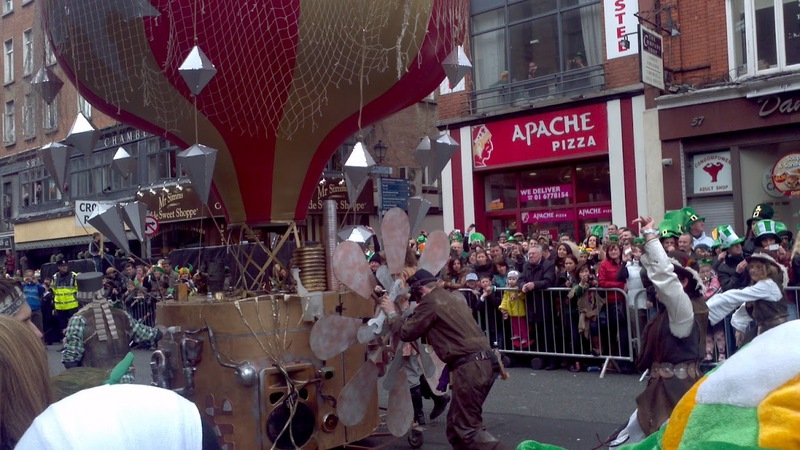 It was a wonderful parade of parasols, top hats, ray guns and bustles. Airship Nocturne, and The Steampunk Illumination Society were out in force. 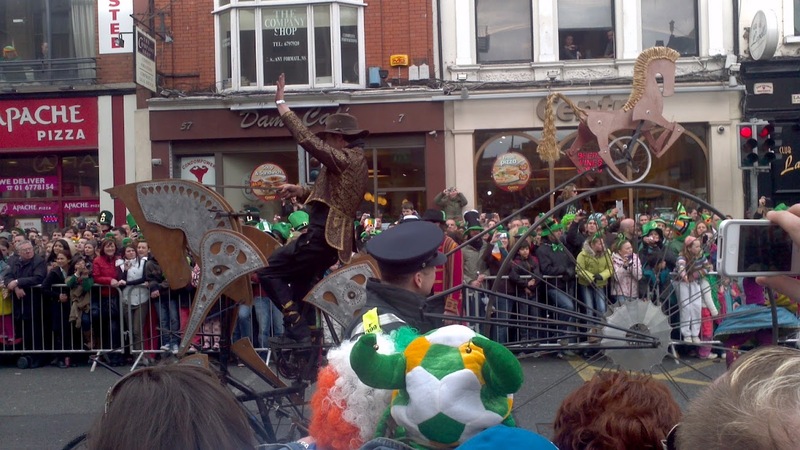 The crew was in full Steampunk regalia. Talking canes (true story), fluttery feathers, jet packs and bandoliers replete with tea cups were to be found at the Nocturne booth. Another group that spearheads many local events, the Circus Freaks, were also there. They offered several workshops on learning Poi, and Flagging. They are the rock stars of the Freak, showing moves that you only thought could be CGI generated. Vendors set up selling wares of all kinds. Buttons, pins, t-shirts, bustles, corsets, top hats, canes, and Renaissance Faire tickets to name some. Intricate Steampunk gadgets, goggles and other random gizmo’s were also ready for purchase. 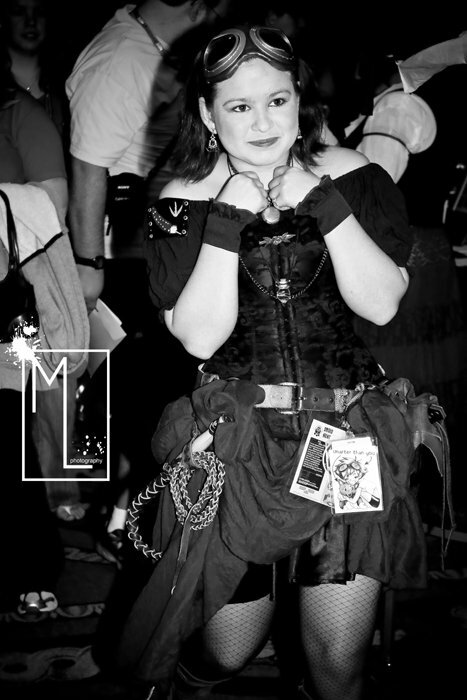 The Steampunk Ball was the highlight for many. For those many, they all needed a good dose of caffeine, because this ball did not end at the stroke of mid-night. Oh no! It started at mid-night. to satisfy his listeners. For all those who love a good toe tapping, dancing shanty tune, this is the performer for you. His raspy voice crows above the crowds taking them from the dance floor and to the aether of their favorite airship. 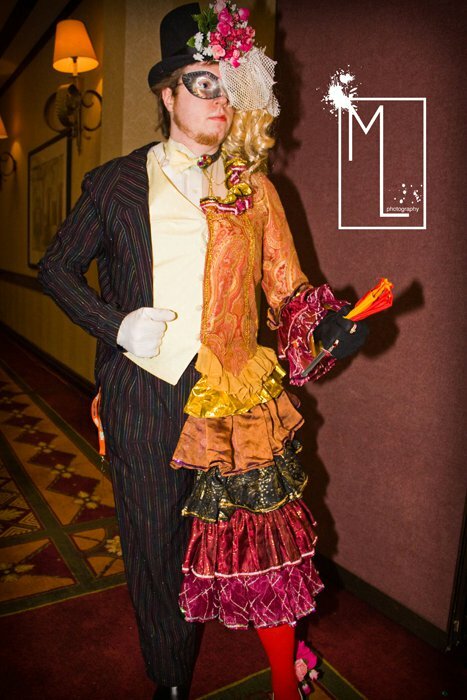 Before All-Con was barely underway there were rumors that the lauded main act of the Steampunk Ball, The Marquis of Vaudeville would not be in attendance. 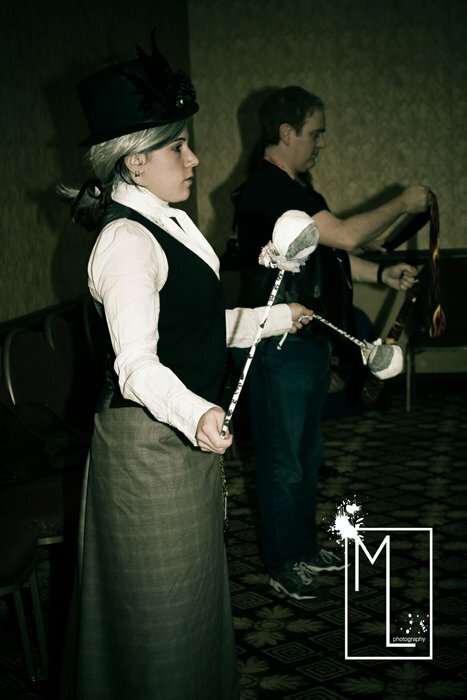 Due to an unbecoming lack of communication on the part of All-Con planners, many fans and friends of All-Con and The Marquis were upset that the ball would perhaps not go on. The Marquis did in fact perform. This was only because they were able to overcome the terrible lack of communication on the part of the convention. To their credit The Marquis went above and beyond what is generally thought of as the responsibility for performers. 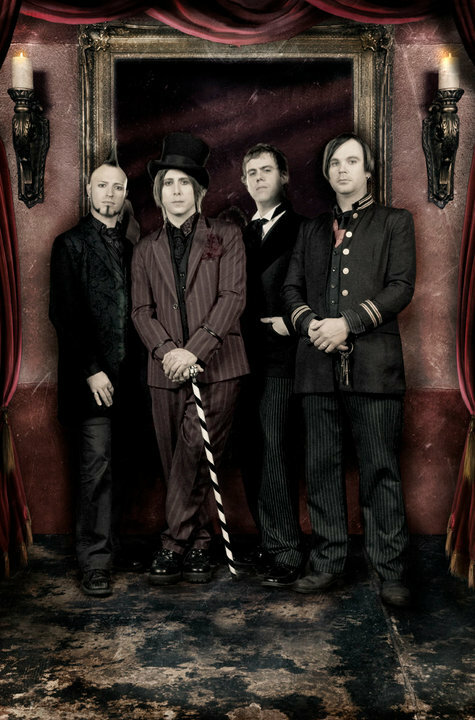 The Marquis of Vaudeville went on to play and satisfy their fans who were still awake to hear them at 2am. The Marquis is superbly adept at creating otherworldly music. It takes the listener into another realm, like Lewis Carrol took his readers to Wonderland, the Marquis take their fans beyond the here and now. After the ball ended, at nearly 3 am, the attendees moved to various after parties that were being thrown around the hotel. That being said, nerds and freaks know how to throw great parties. If you would like more information about any of the events or groups please see the following links. Thank you Mallory Lorene for your wonderful photographs. 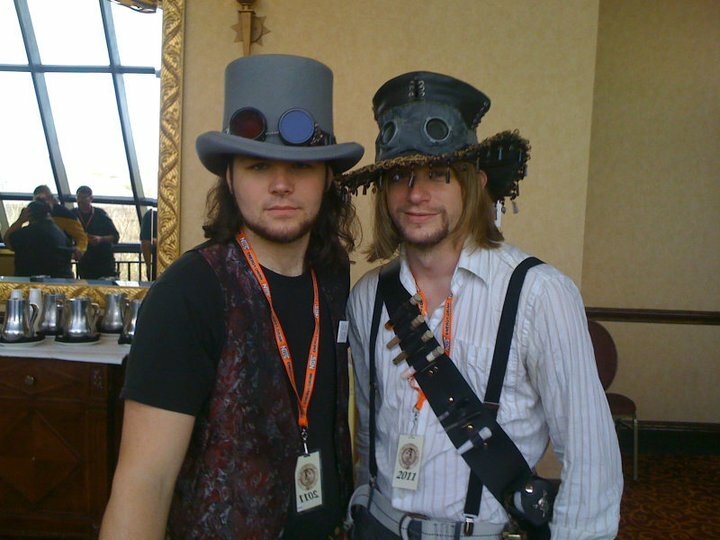 Steampunk is the theme for this years All-Con. All-Con, like its name suggests, is a convention for everyone. Anime, SF, Fantasy, and of course Steampunk. Like all good conventions there will be many opportunities for performance art, costume contests, and cosplay. This year we get to discover more about the aether and mysterium of the culture and fun of steam. A growth spurt in the genre has a record number of people venturing into the realm of the ‘future past’. All-Con presents a fabulous opportunity to rub elbows with fellow Steampunks and vendors to help this wonderful genre grow even more. Several Airships will be attending with their crew, as well as Steampunk societies such as the superb Steampunk Illumination Society. 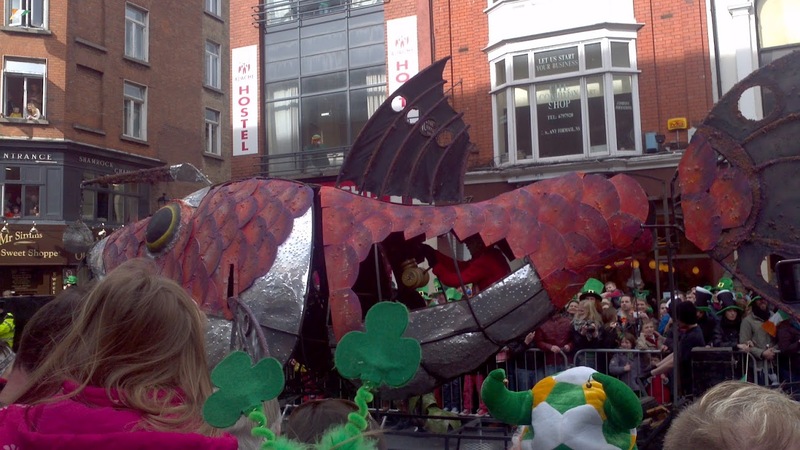 Yours truly will be there with her own airship and event table: The Airship Nocturne. Look for the bright crimson corset and bandoleer with a tea-cup and saucer. It’s me. This will be a wonderful opportunity to meet some of the best, brightest and friendliest Steampunks that the region has. Please come tip your hat and exchange pleasantries at this years All-Con! 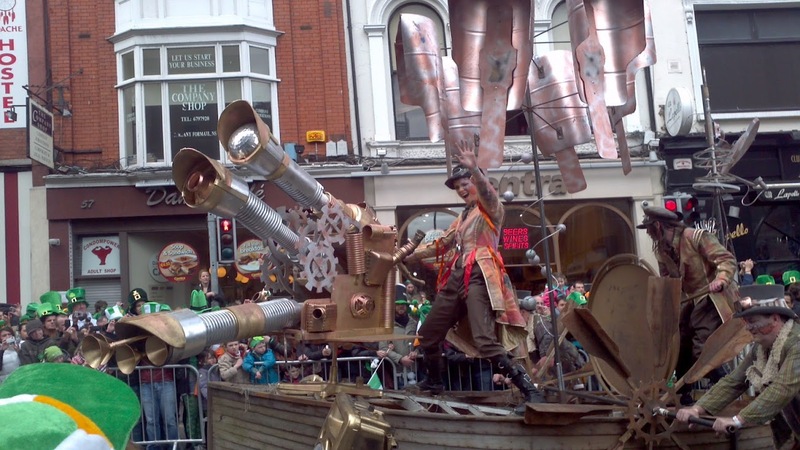 The Steampunk Music genre is up and coming. There are no rules, it is an open market. The variety is wonderful and multifaceted. Because of this, the next few blogs will be dedicated to Steampunk music artists. 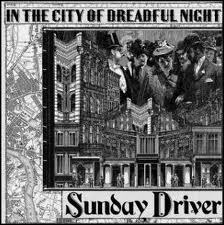 Sunday Driver UK, like it’s name, is based out of the UK. The seven member band is a wonderful ensemble and its début album is fabulous and unique. This British band is a great example of Asian Fusion gone right. The Gayatri Mantra is a perfect example of that signature uniqueness. This particular song takes the listener on a journey through the aether to India. Then the band spits you into the streets of London, or so I imagine, with the second track Black Spider. The rhythm and pace of the song combined with the lead vocals easily sweeps you into the story. There is an urgency that keeps the listener completely involved. From here the album slows down for a few songs, then sweeps you up again with Bakul Bagan Road. Yet again the sitar takes you on a journey across the seas and aether. Their talent shines with their variety. To pick up a listener and sling them around the world with a single song is an impressive feat. As a listener I love every moment of it. The lead vocalist moves from strength to trepidation convincingly. The song Heroes spotlights their canny lyrics. The members showcase a range of instruments: Sitar, Harp, Clarinet, Tabla are not instruments in any run of the mill band, but you will find it here. Checkout their website: http://www.sundaydriver.co.uk/ and the free music downloads they offer. They have links to their Facebook, Twitter and MySpace profiles as well. 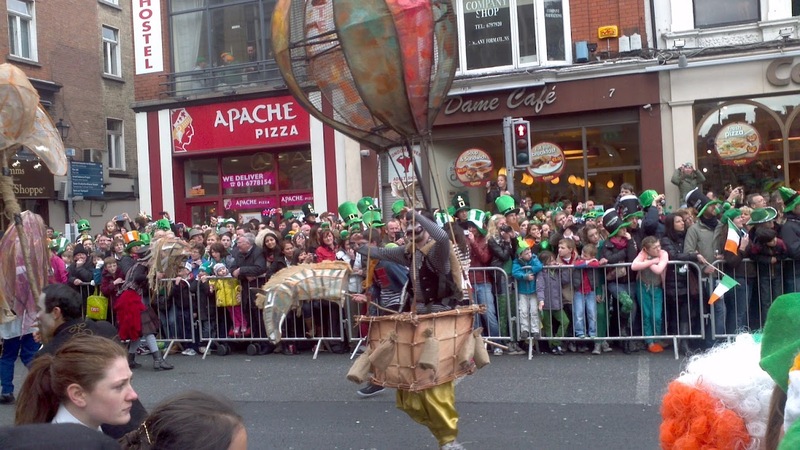 Why do Steampunk events generally spotlight circus acts? 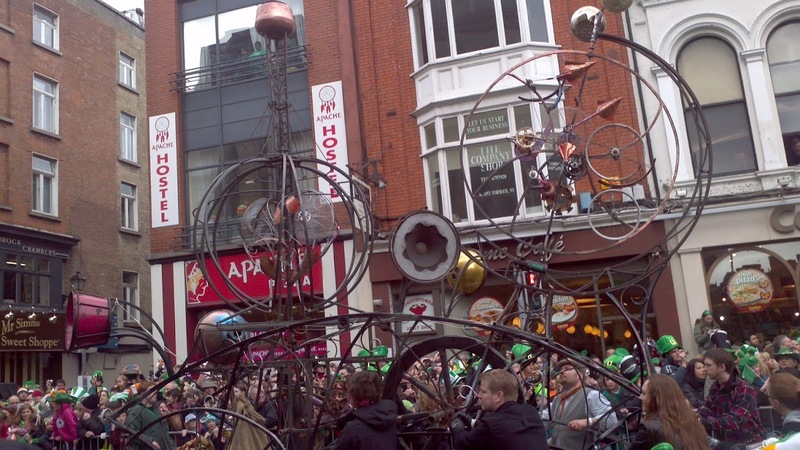 If you have been to larger Steampunk events you might have seen jugglers, fire show acts, stilt walkers, contortionists and slight of hands. The Circus developed from a simple fairground whimsy to an organized legitimate trade during this time because of aforesaid higher demand. Amphitheaters and large tents now housed these traveling shows. Entertainment began to not only encompass the theatre, but also these roving bands of circus entertainers with legitimate skills. Artists had been banding together for over century before hand. The idea of a circus was not wholly original just to the Victorian Era. 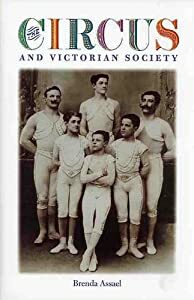 What changed was the breadth and the scope of these Victorian Circus acts. 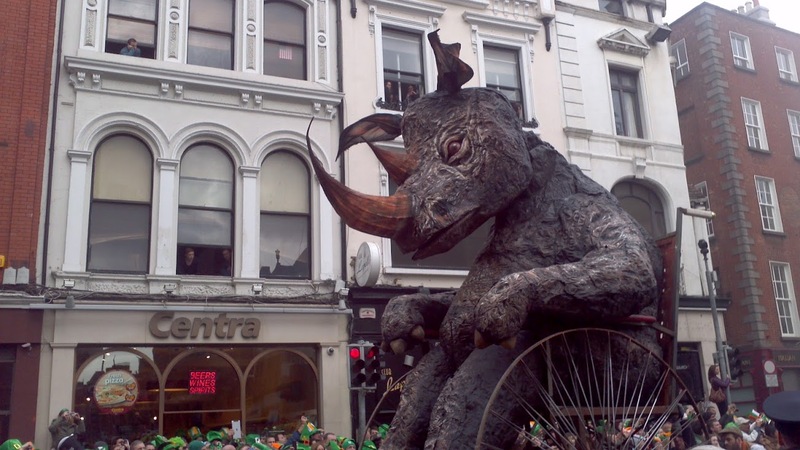 They were traveling carnivals, trying hard for respectability in a world where class movement was a tight and awkward affair. A big draw to these entertainers were the equestrians. 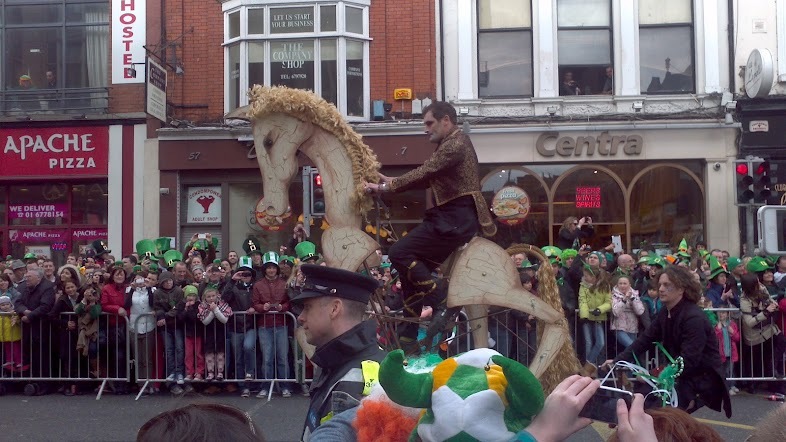 Most troupes worth their salt had an equestrian to draw in the masses. Most Steampunk Events will not have horses to prance and perform daring feats of do, but for the Victorian Era it was their main draw…until the mid century. Several fairgrounds were shut down by the powers that be. They did not want riffraff coming into town. Conversely, after the shutdown of these grounds a new wave of assembly halls, theaters, music halls, and amphitheaters were constructed, creating a new structure for the Circus. This is when the number of Circus’s also began to rise, to meet demand. The Circus was a place of entertainment and wonder for Victorians and their natural curiosity. Curiosity was on the rise during this era. Spurred on by the previous Enlightenment period, and scientific and social advances. Notably, the expansion of the British Empire helped bring about healthy curiosity of the cultures under their protectorate. During this time it was okay to be curious. It was expected. In previous era’s curiosity was abhorrent. Plutarch thought curiosity was ‘vulgar’. The Circus was so much more than just a place to gape and have fun. The next time when you visit a Circus think of it as ‘a great social leveler’. A step in the path of social equality. Wow! Who knew that the bearded lady was so much more than just her fabulously groomed ‘tache.